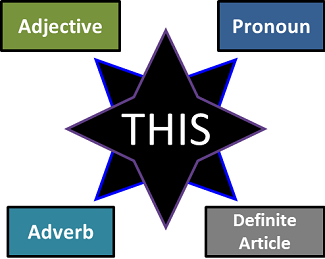 The word “this” can be used for a variety of purposes and contexts. Basically, it can be classified as an adjective, a definite article, a pronoun, or an adverb depending on how it is used. The word “this” is used to modify the noun “phone.” It is used to make it clear to the audience that it is the noun being talked about. He left early this morning. Do you need this pen or that one? Bring this gun with you. In this sample sentence, the person being addressed knows exactly which object the speaker is referring to. There was a number of fatalities resulting from this incident. This is the pilot speaking. The word is used to replace a specific noun, which the listeners or readers (more likely) know already. This is silver and that is aluminum. He needs a container this big. We didn’t expect to wait this long. I need a screw this small.